Orthodontic retainers are worn after orthodontic treatment to provide retention and to ensure that our teeth are stabilized in their desired position. It is a very important phase of orthodontic treatment as teeth can relapse to its original position if there is no retention. Learn the proper way to insert and remove your retainer to avoid deforming the plastics or breaking any wires. Your orthodontist will show you the correct way to insert and remove the retainer. Wear your retainer all the time. The only time you should remove it is during eating or for cleaning purposes. If you are not wearing your retainer, it is recommended that you keep it inside a container to prevent it from lost and breakage. 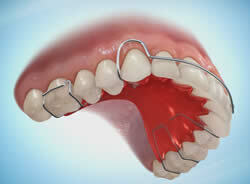 It can cost you around a few hundred dollars to replace/fix your retainer. Wearing your retainer can affect your speech at first. It will return to normal after a few days so do not be worry about your slurred speech and difficulties in pronouncing certain words. Plaque, calculus, food debris can accumulate on orthodontic retainers if they are not properly cleaned. 1. The most basic method to clean your retainer is by using a soft bristle toothbrush and toothpaste. 2. White deposits which are found on your retainers are actually calculus.Soak retainer inside vinegar for 10 to 15 minutes to soften white deposits.Then, rinse retainer under warm water and remove the deposits using a toothbrush.Bear in mind that you shouldn’t soak them in vinegar for too long as vinegar can cause your retainer to smell and increase the porosity of the fitting surface. 3. 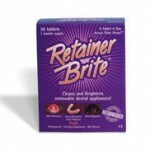 Clean your retainers by using retainer cleaners such as “Retainer Brite”. They are very effective in detaching plaque and calculus from your retainers. – Bring along a container with you so that you will be able to keep your retainers in a safe place. The easiest way to lose your retainers is by keeping/wrapping them inside napkins. 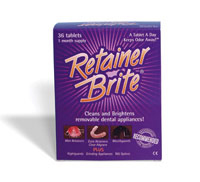 – Keep your retainers away from heat sources to avoid plastic retainers from deforming. 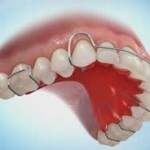 – If you lose or break your retainers, please inform your dentist so that he/she can replace or repair it immediately.